Welcome to the first official Fisk-a-friends Blog Hop. Fun is around the corner. Here are a little housekeeping tips for the Blog Hop. The Fisk-a-friends Blog Hop begins officially at March 27 at 6 p.m. (Pacific Time). For complete Blog Hop rules please click here. On Fisk-a-friend blog hop you are sure to find some wonderful ideas pertaining to crafting, scrapbooking, art and mixed media. Jean Bullock has done an amazing job organizing sponsors (thank you sponsors and Jean), you are in for a treat! A great giveaways! If you would like to be eligible for the sponsor giveaway drawing, start at the Fiskafriends blog here and follow instructions. I’ll also be doing a personal giveaway right here. Just make a comment here and I’ll chose a random winner within the U.S. – sorry. It will be a paper pack you won’t be disappointed in. It’s a beauty! Not responsible for errors, lost, damaged or stolen prizes. But let’s hope for the best. If you like what you see, would like to connect, get to know one another a bit better, feel free to subscribe (the right sidebar). Thank you for visiting and I hope you enjoy! So glad you’re here and wishing you a fun and artful journey! !What’s What’s a Fisk-a-friend? Check out more here. I don’t know about you but I am inspired by nature! I love anything with wings; birds, butterflies, angels . . . except for maybe bats. But most winged creatures are so lovely. I (along with many others) enjoy butterflies. I love what they represent . . . new beginnings, transformation, breaking free and more! I’ve needed a piece of art for my downstairs bathroom for a while and thought instead of purchasing one, I’d make my own using my stash. You too can easily create this simple artsy Wall-hanging. Measure where you’d like your artwork to display within the frame. 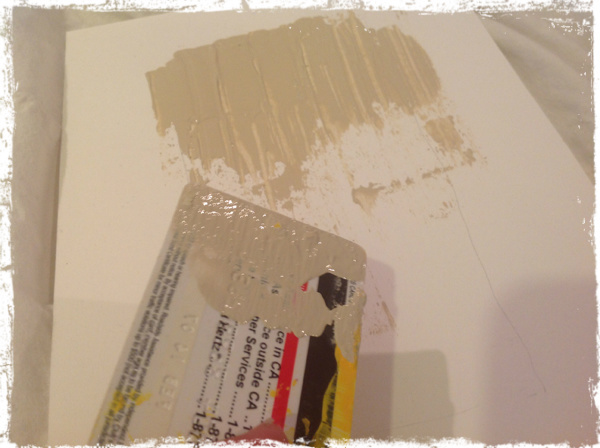 With an old gift card apply some acrylic paint on the card and scrape paint onto watercolor paper for a base. Dry with a heat tool. 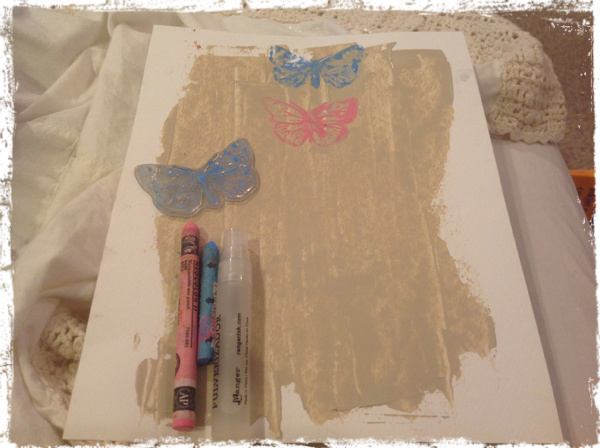 Next, take your butterfly stamp and mist it with a bit of water. 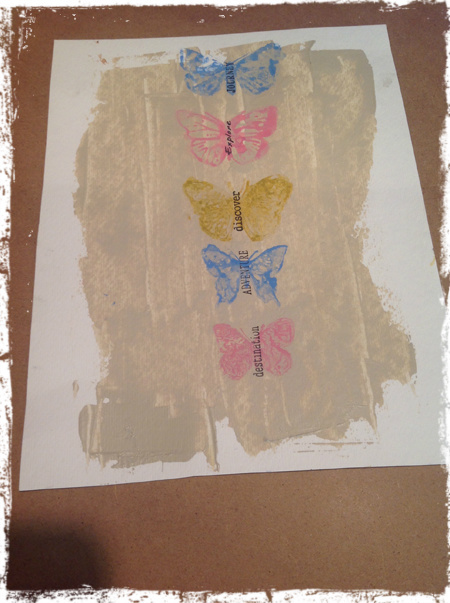 Rub watercolor crayons over the stamp to give it a good coat. 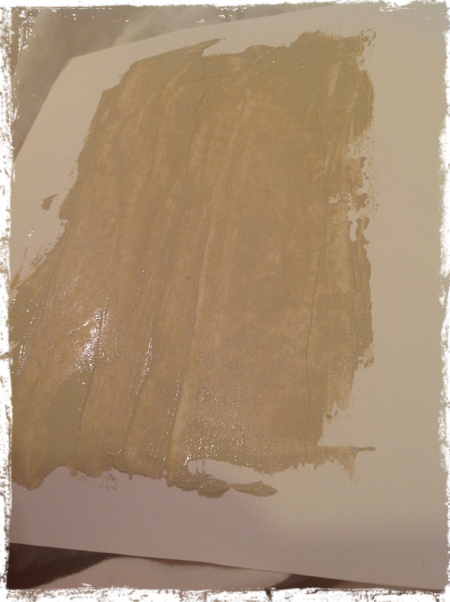 You may want to stamp a sample to make sure you don’t have too much water or color. Then repeat process. Stamp the butterflies where you desire. Allow to dry. Stamp sentiments in the center of the butterflies. I chose some that reminded me that Life is a journey! Explore each day that is given to us as a gift! Thank God! Discover what we can learn, enjoy or share within each moment, day and chapter. See life as an adventure. There will be up and downs (unfortunately some sadness) but don’t forget that each chapter – can have purpose. There is a destination! There are detours but there are goals and eventually a destination! I’m choosing to make the most of my days! PS ~ I’m a breast cancer survivor (3 years). Remember that it’s okay if it’s not perfect! That makes it original. Insert into frame and enjoy! Easy peasy and lovely. Can coordinate with your colors, personalize or send a special message. Again, thank you for visiting and I hope you enjoy the rest of your journey with your Fisk-a-friends! Happy Hopping . . . This entry was posted in Altered Art, Couture and Decor, How To's (Tutorials), Mixed Media, Sharing the Love - Giveaways, Uncategorized. What a fabulous wall hanging. 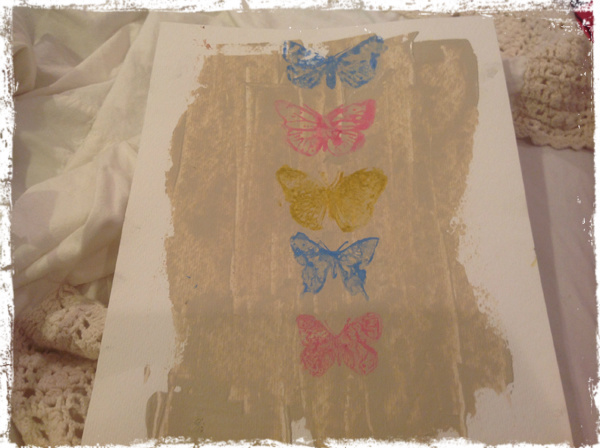 I really like that you used sentiments for the butterflies bodies. Thanks for a great tutorial too. I love butterflies and I love this project! The words in the center make this project fabulous! Wonderful tutorial, Cheryl I’ve been admiring your courage and artwork from afar. You are an amazing lady! Thank you for being a part of the bunny hop. We Fiskateers are an amazing force! That really looks great! Thanks for showing how to create it. I got a new anti-virus, now I can visit again. 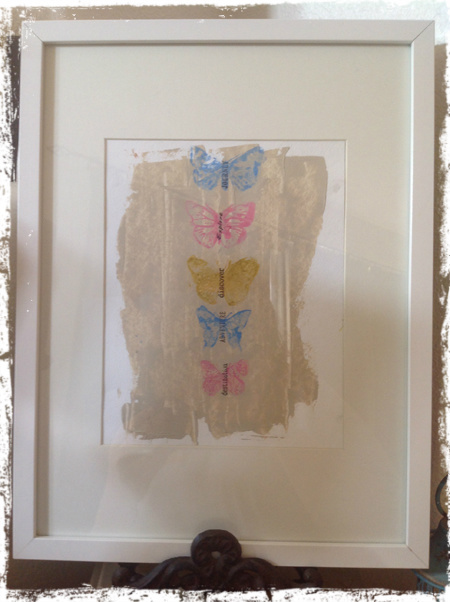 I really like the wall hanging-like Tona using the words for the butterfly bodies-genius! I know just who I need to make something like this for. Lovely piece, Cheryl. Happy to join you in the hop! Cheryl, I love your mixed media artwork . So classy. Wonderful wall hanging! I just love birds and butterflies too! I have all the stuff to make something like this except the frame. I’ve never made home decor using my craft stash but this sounds like fun! Thanks for the tutorial! Happy FiskaFriend Birthday to you dear Cheryl. You never cease to amaze me with you ability to put a story in your beautiful art pieces. I love that you used word stamps for the bodies. So many ideas are coming to mind! Thanks so much for sharing and a chance to win! I love butterflies and they hold a very special meaning to me. My neighbor’s 7 year old son passed away 12 years ago and at his funeral there were tons of the butterflies that he so loved flitting around. Now I think of Joseph every time I see one. LOVE this pretty wall hanging and will be making one of my own! Thanks for the inspiration! I love this Cheryl! How appropriate that the project you shared is a wonderful reflection of your beautiful spirit and personality. 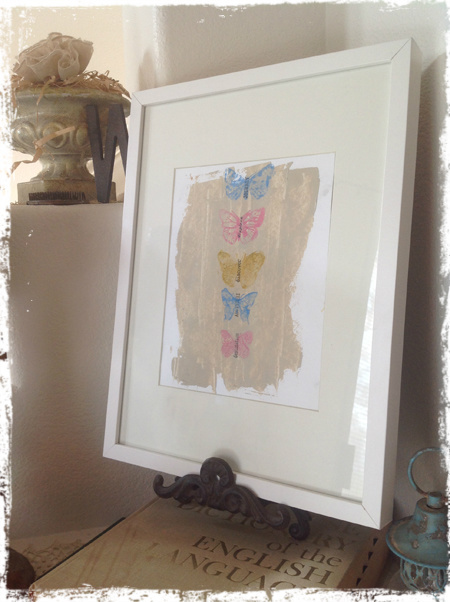 Love your butterfly frame! Just too pretty, great colors! You are so creative and talented, Cheryl ! cute butterflies with the sentiment bodies! I’m lucky that we get to see a lot of them in the summer. I have a few butterfly bushes as well as other plants that attract them ! What a great project! I’ll give this one a try for sure. Gorgeous, Cheryl! 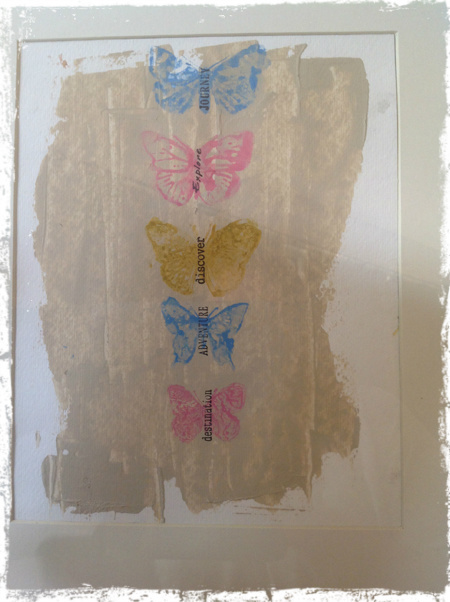 Especially love the stamped words on the butterflies. Sending you the warmest hugs. Oh Cheryl — I want to copy this! just gorgeous!! Wow you made that look so easy I just love it. Thanks so much. They are simply gorgeous. Thanks for sharing the tutorial. 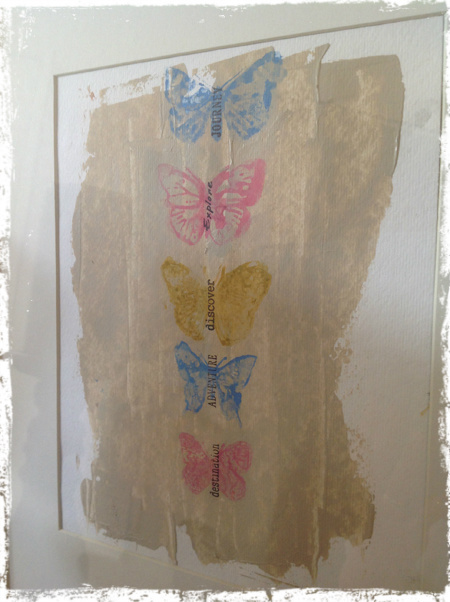 LOVE your background and how you have stamped the sentiment in each butterfly!!! Beautiful, perfect for Spring! Something I have been awaiting for the last 2 weeks here in the most North-Eastern Point! Michelle #7586 PS:fellow blogger from Canada don’t include me in your prize draw! Already following you! I love this! What a great idea to use words for the butterfly bodies! I’m going to try that on a card. Thanks for the inspiration! Love your art! The butterflies are fabulous and adding the inspiration words is genius. I’m inspired with every visit to your artsy blog! Thank you for sharing! Another beautiful and creative project my friend! That is a beautiful canvas, love the words as the body!! unique Thanks for the creativity. Love your creativity Cheryl. The picture is awesome and gave me many more ideas. I love how you used inspirational words for the butterfly bodies…You are an inspiration Fiskafriend! Love the word-art for the bodies of the butterflies!!!! !